Having your car serviced can help maintain its resale value and ensure that your warranty is not voided. From an oil change, tire rotation to wheel alignment, we offer exceptional tune-up. Our services involve Ford-trained technicians, Ford-specific tools, and the advanced computerized diagnostic equipment designed specifically for your Ford vehicle. Wear and tear repair: It is crucial to have preventive repairs to keep your ford operating smoothly. Our technicians will carry out comprehensive checks and with your approval, solve the detected issues before they get worse. Accident repair: Santa Rosa Transmission and Car Care is a network of repair experts with unparalleled knowledge, experience, and technology. We can help you to restore your car to its pre-accident condition. That's because, we use Ford parts that are engineered to embed and perform impeccably with your Ford. 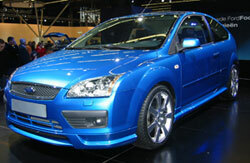 Repair and maintenance services are essential in prolonging the life of every Ford vehicle. At Santa Rosa Transmission and Car Care, we offer the best auto services in the whole of CA and the surrounding expanse. Over the years, we have upheld a reputation of working with professionalism, integrity, and transparency. Besides, our experts are fully Ford-trained, certified and we have a state-of-the-art service facility to ensure that we give you quality solutions for Fords of all ages. What's Next? Don't wait! Book an appointment with us today!